Learning hands-only CPR helps local emergency responders by focusing on the first few critical minutes following a cardiac arrest. Since the lungs and blood contain only enough oxygen to keep vital organs healthy for that amount of time bystanders become heroes until emergency responders arrive on scene. 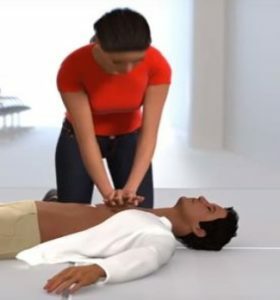 With each chest compression using hands-only CPR, ordinary citizens can easily provide the ongoing blood flow needed to give the patient a much better chance of survival once responders arrive. Once trained, citizens are encouraged to download the PulsePoint app for iOS and Android phones to receive notifications that someone nearby is in need of CPR. To learn more, visit the PulsePoint Foundation website at www.pulsepoint.org. For more information about this upcoming training, contact Palmdale Regional Education Department at 661-382-5021. 1 comment for "Palmdale Regional to host free hands-only CPR training June 1"